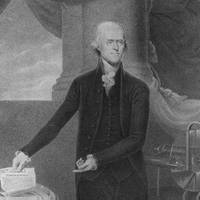 Both Jefferson and former President James Madison, whom Monroe also consulted, recommended cooperation with Britain. Monroe's Secretary of State, John Quincy Adams, however, had a different idea. He thought the U.S. should follow a course independent of Britain.